This is definitely the weirdest hat I own. I’ve got woolen hats with pom-poms, 1920s felt cloche hats, off-kilter fedoras, and handmade toques… but this is my first ever faux-fur, wannabe koala-head hat. It also has furry tassels, which you can’t see in the picture. How could I resist? In all seriousness (though it’s hard to be serious with a fake koala on your head), autumn is swiftly giving way to winter here, and our house is COLD. In the summer, the cold rooms are my saving grace, but in winter the chill makes me feet freeze, and my hands, and my brain. I am often too busy thinking about when it was, exactly, I last felt my toes to be able to give my full attention to the plights of my characters… which is not particularly appealing at the moment, considering Angela and I are a whisker away from finishing Midnight and Moonshine, and I am still toiling away at The Familiar. 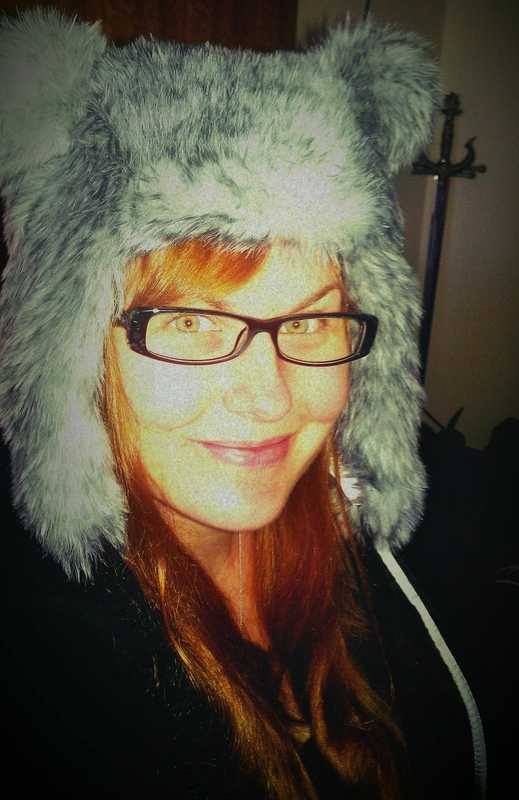 So this year, enter Koala Head and Tall Uggs: my Survive Winter Writing Gear. Tags: koala head, weird hats, writing gear. Bookmark the permalink.